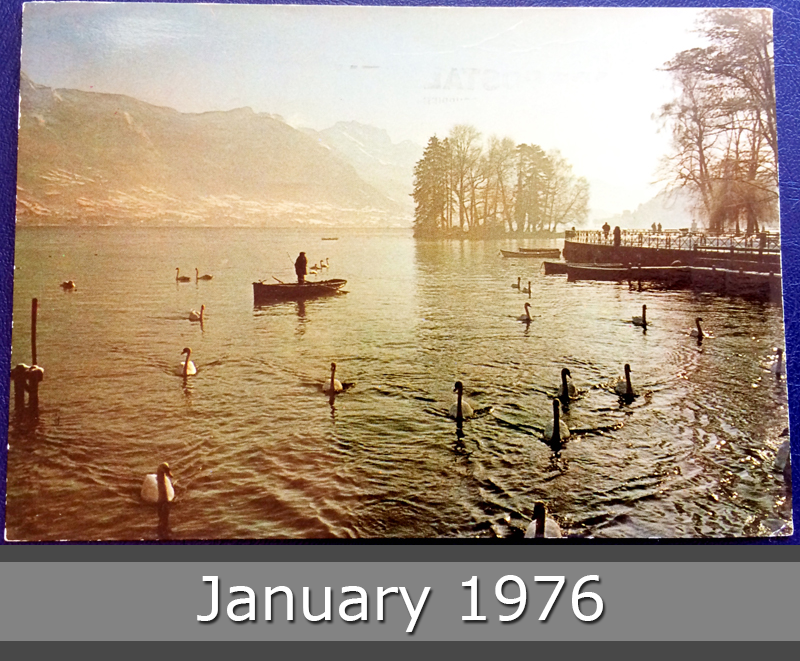 The Lake Annecy in winter mood. Annecy is the largest city of Haute-Savoie department in the Auvergne-Rhône-Alpes region in southeastern France. It lies on the northern tip of Lake Annecy, 35 kilometers south of Geneva. Lake Annecy is a perialpine lake in Haute-Savoie in France. It is the third largest lake in France, after the Lac du Bourget and Lac de Grand-Lieu. It is known as “Europe’s cleanest lake”. It is a popular tourist destination known for its swimming and water sports. It is fed by many small rivers from the surrounding mountains (Ire, Eau morte, Laudon, Bornette and Biolon), and from a powerful underwater source, the Boubioz, which enters at 82 meter depth. 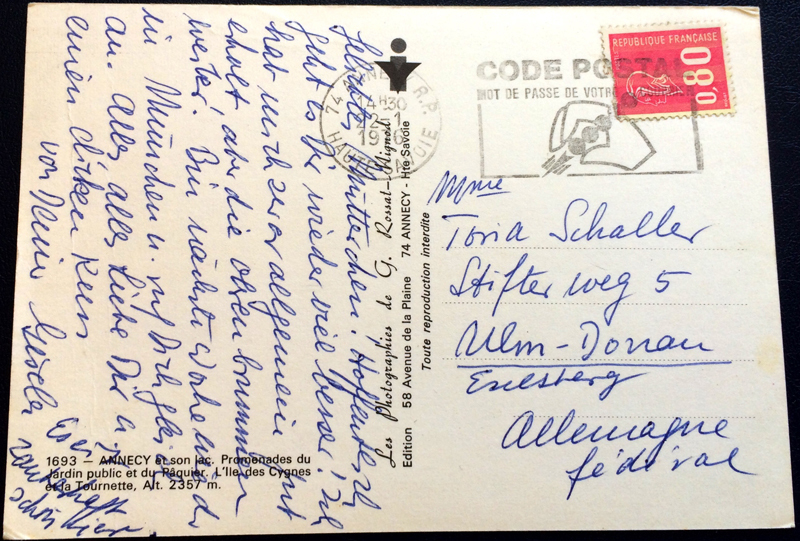 This postcard was sent in year 1976 to Ulm in Germany.